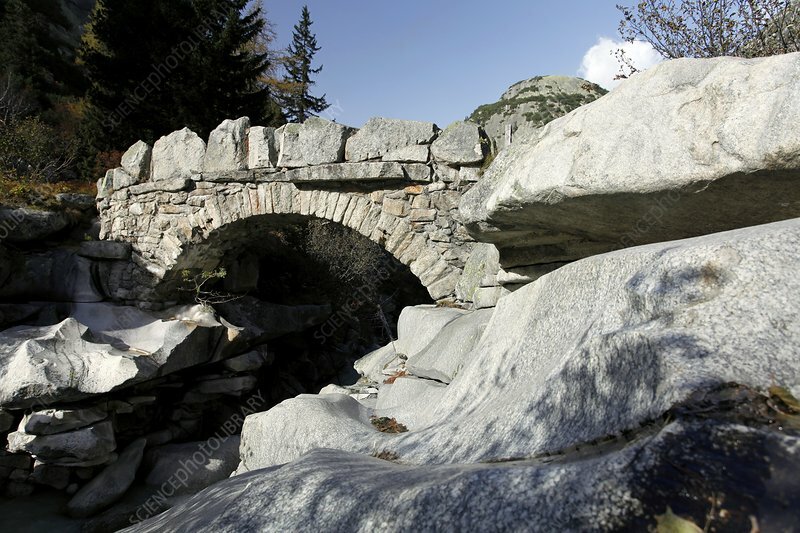 Alpine stone bridge. Photographed in the Grimsel Pass, in the Swiss Alps, in the canton of Bern, Switzerland. This pass reaches an elevation of 2165 metres. Photographed in October 2010.